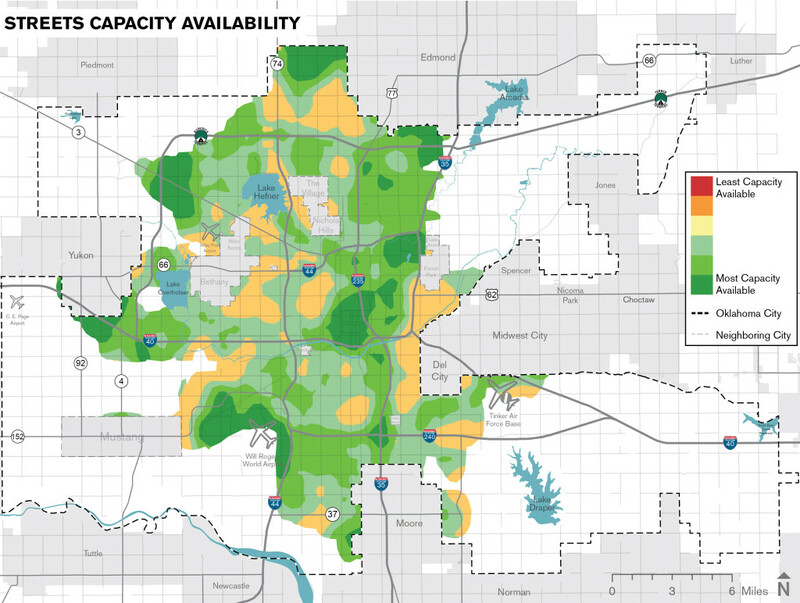 Dark Green = Most unused existing capacity. Light Green = Progressively less extra capacity as the green lightens. Yellow = Small amounts of unused capacity. White = Undeveloped or rural areas where the scale and quality of street service is not well described by urban capacity measures. “Easy” Fixes – Streets where only minor improvements are required to achieve necessary capacity improvements. Network Impact – Prioritize streets that create the greatest improvement in overall connectivity and service to the largest number of people. Development Responsive – Prioritize projects that create necessary capacity expansion in response to ongoing and planned development. Download a PDF of the entire Development Guide chapter in its printable format, including all associated graphics and tables.